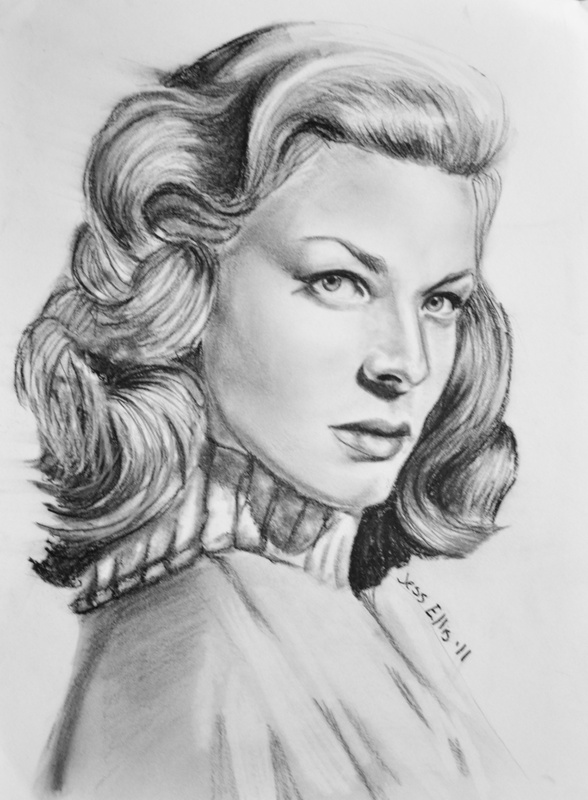 Graphite 8x10 Lauren Bacall is one of my favourite actresses of all time. She had a presence unlike anyone else. Maybe Jean Arthur was close, but no one owned a room like Lauren Bacall did. I drew this with some very cheap graphite pencils just to see if they could create something workable. I ended up really loving the result.